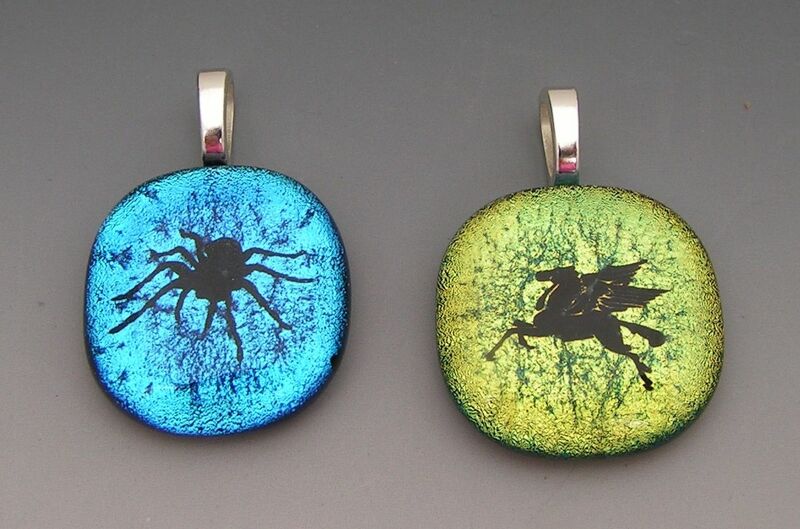 Unique blue and green dichroic glass pendants for a necklace. One pendant has a spider design and the other pegasus. She went out of her way to make a couple of pendants perfect for my 2 daughter-in-law who have very different personalities. I will look for reasons to patronize her again.